If you have any interest in hosting Jason for anything -- a reading, book club, book signing, ribbon-cutting, hair-cutting, coupon-cutting -- please aggressively fill out the form on our contact page. Every year the Mildura Writers Festival invites an American author, and by some magic, perhaps a clerical error, Jason was the special guest of the 2017 festival. As if bringing him to Australia was not enough of a treat, he also got to share the stage with Helen Garner, an author he greatly admires and whose work is criminally under appreciated in the U.S.
Jason just wasn't feeling it in 2016, and we admire him for that. We really don't need to hear from everybody all the time, or at least not from him. On October 21st, Jason participated in the H.I.P.-curated exquisite corpse event at this year's Lit Crawl NYC. People were nice. Drinks were served. Terrible sentences were written. Many people left with totes. Not bad for a Wednesday night. On September 29th, Jason was part of the Flint Fiction reading series, along with Helen Phillips and Kerry Cullen who were both superb. It's a great series which will soon be moving to Brooklyn. On February 15th, a ridiculously cold winter evening, Jason took part in the super charming Dead Rabbits Reading Series, along with Timothy Liu, Anna Meister, Patrick James Errington, and Gregory Crosby, way up at the DTUT Bar and Cafe, in NYC. 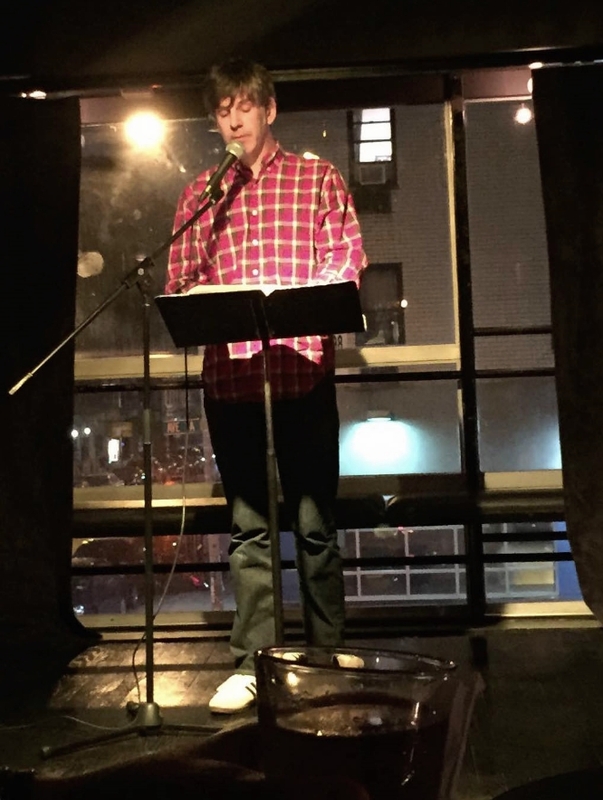 On September, 24th, Jason participated in The Buzzard's Banquet Reading Series, at Soda Bar in Brooklyn, NY, with Michele Filgate, Beth Lisick, Rich Moy, and Jennilie Brewster. It was a lot of fun for all in attendance. That's right, every single attendee came out feeling better about the literary arts. • On August 13th, Jason had the honor of reading at one of his all-time favorite institutions, the Glen Lake Community Library -- part of a community and region where the author finds great energy and inspiration. The turnout was, relative to the size of the city, or in this case village, the strongest Jason has received in all of his promotional journeys. • On June 24th, Jason joined a star studded cast of readers and singers to celebrate the Paperback Launch of Matthew Dojny's The Festival of Earthly Delights. John Wray, Kathleen Alcott, and Halimah Marcus all wowed the crowd. Many songs were sung. Many more were warbled. • On June 19th, Jason was thrilled to be invited back to his home town for the 2014 Ann Arbor Book Festival. His leg of the book crawl took place at Nicola's Books, where he read along with Doug Trevor and Bethany Neal. Chicago's 2014 Printers Row Lit Festival benevolently placed Jason on a panel with the super smart Kathleen Rooney. Thanks to deft moderation by the ultra prepared and engaging Nina Metz, Jason managed to answer some thoughtful questions in nearly complete sentences while also not getting in the way of some of the interesting ideas beyond his grasp. It was such a success that while not signing any books immediately afterward, a man did approach the author at a bar later that evening to ask for a signature. On May 6th, Jason had the privilege of reading with Delia Ephron and Meg Wolitzer as part of Spoken Interludes, a literary salon lovingly curated by DeLauné Michel in Westchester County, NY. The food was great and the questions from the audience were even better, and all of it included a beautiful view overlooking the Hudson. Jason is definitely starting to get spoiled by events like this. Live Wire Radio invited Jason to read an essay out loud to an audience and also perhaps podcast listeners who live somewhere in the future and should avoid driving while listening to the author's hypnotic monotones. Jason claims to have had a lot of fun and was especially thrilled to be on the same show as Barbara Ehrenreich and The Minus 5. On April 13th, which turned out to be one of the more lovely spring days in memory, Jason spent the early evening reading in the very dark KGB Bar with David Burr Gerrard and Douglas Watson. Everybody in attendance enjoyed the nostalgic Cold War environs, along with the engaging nips of fiction. The Sackett Street Writers Workshop holds a regular reading series at BookCourt and Jason was included in a fabulous February 24th lineup, along with Ivy Pochoda, Howard Feinstein, and Molly Rose Quinn. Powell's Books made Why Are You So Sad? one of their favorite books for the month of February, so it worked out well that that was where Jason finished his West Coast tour. The reading was so lively that Jason managed to wake up a customer who had been sleeping in one of the aisles. 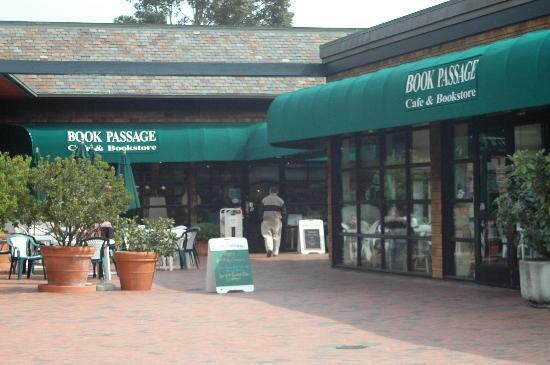 Everybody kept telling Jason that if in Northern California he should visit Book Passage in Corte Madera because they do great events and have smart and loyal customers. So that's what Jason did on February 16th, and everything he heard was true. Jason packed the house at San Fransisco's Books Inc. on February 15th. It was one the best crowds of the tour. Book Soup hosted Jason on February 10th. The crowd was engaged and the staff was friendly and much smarter than the author. It's a great place to stumble into a book you didn't realize you were seeking. Jason hopes to be back soon. Texas is lucky to have Austin, and Austin is lucky to have Book People, and Jason was lucky to read there on February 7th. It was another cold night, but there was still an audience filled with alert and inquisitive listeners. Somebody credible estimated that over 100 people attended the New York launch of Why Are You So Sad? at McNally Jackson, but Jason was too dizzy to confirm this. Whatever the number, everybody had a great time. The night was highlighted by a conversation with National Book Award winner, and quality human being, Colum McCann..
Jason finished his mini-tour of the Midwest with a reading at DittoDitto in Detroit, Mi, on January 31st. It was a great crowd. Detroit really has it going on, at least according to the author. • On January 30th, Jason read in his hometown of Ann Arbor, Michigan, at the relatively new Literati Bookstore. He was greeted by old friends and maybe a few new fans. Joining Jason for a fun and snappy conversation on the book was the smart and delightful Jennifer Traig. For his pub date Jason took on the return of the Polar Vortex by traveling to CityLit Books of Chicago, IL, where he read and then had an intelligent conversation with fellow novelist, and thoughtful questioner, Rebecca Makkai. Despite the below zero temperatures there was a good turnout and opportunity for Jason to break in his new Micron® pen. • On November 6th a short story Jason wrote, which was included in the anthology The Book of Men, was narrated on Selected Shorts by the very charming host BD Wong. Check here, or even better there, for broadcast details. And also check out the book. It's proceeds support Narrative4, a very exciting non-profit. • Jason read at the H.I.P. Reading Series on June 14th. The reading had a circus theme and included National Book Award finalist Téa Obreht and Pulitzer Prize winner Ayad Akhtar. Everybody gave it their all, and the audience was joyful. If you are reading this, you were probably there and visited this page to reminisce. Or maybe you missed it, which is too bad, but it's hard to make it out to see everything, while also keeping up with all of your television programs, and your second and third jobs. • Jason read, along with physical elucidations by full body text interpreter Paul Benney, back in November of 2012, at a swell gallery for the opening of the knuckle-crushing brilliance of artist Daniel Davidson. It was a very special evening not forgotten by many except the one guy who drank too much and behaved poorly. Otherwise attendees were, and still are, raving about the feelings they felt. Jason reading at Mulherin + Pollard gallery with full body text interpreter Paul Benney. Other readers included the remarkable Jeff Rotter and the delightful Eric Amling. The reading was in conjunction with the opening of Daniel Davidson's ingenious drawings. If you weren't there, our sympathies. Hopefully next time.